This was only my second Emir Kusturica film, and there’s already an impression I’m watching the work of a madman. This four and a half hour long epic about the life of a boy living within his Romani family carries a sense of ambition that in itself seems so hard to replicate. What Emir Kusturica formed with Time of the Gypsies not only resulted in one of the most distinctive projects of its time but something so draining in its mammoth running time, yet always rewarding. These are only coming down to the outer layer of what’s most impressive about Time of the Gypsies, because I’m not even sure how exactly could any other filmmaker would even manage to put something like this on the screen. There’s far too much to deconstruct in Time of the Gypsies that allows it to work well, but it only sinks into my head all the more. Time of the Gypsies is, as stated above, a tale about years in the life of a Romani boy and his family – told in five chapters, all of which detail a different stage of the boy’s life. As Emir Kusturica tells this story up close, he strives even for a sense of authenticity by having actual gypsies play characters as well as having the dialect be in Romani. I could already tell from these choices that Emir Kusturica was setting out to make an experience that only flourishes in its own indulgence (something that caught me from only watching a shortened version of Underground), but nevertheless feels rewarding after finishing up. But it comes from what Kusturica is filling up this story with that creates a phenomenal experience all the way through. Every chapter of Time of the Gypsies works best when watched one after another in a single sitting, for the manner it presents itself, almost like a miniseries details another chapter in the life of the family, but the tone shifts with each new episode. For as Kusturica details the life inside of the gypsy family he doesn’t romanticize their lifestyle, and yet his own sense of humour still lurks. Kusturica chooses to make something so entertaining in order to keep his audience fascinated with what they’re watching, but as every episode passes it only grows increasingly darker. But to think how much Kusturica manages to stuff inside of such an effort, the best way to describe Time of the Gypsies in a sense is that it is a film that goes everywhere. On one moment it’s a comedy, the other it’s a drama, but many elements of fantasy are laced within, and thus what it creates is indeed reflective of how Kusturica sees the gypsy lifestyle. What I do love most about Time of the Gypsies is that it’s not a film that limits itself merely to telling a story about one family but in how it portrays an entire community coming together. Nevertheless, when Kusturica employs elements of fantasy he only keeps it as a mere background detail in order to allow the film to keep its own focus on the all the good and bad about the gypsy lifestyle. 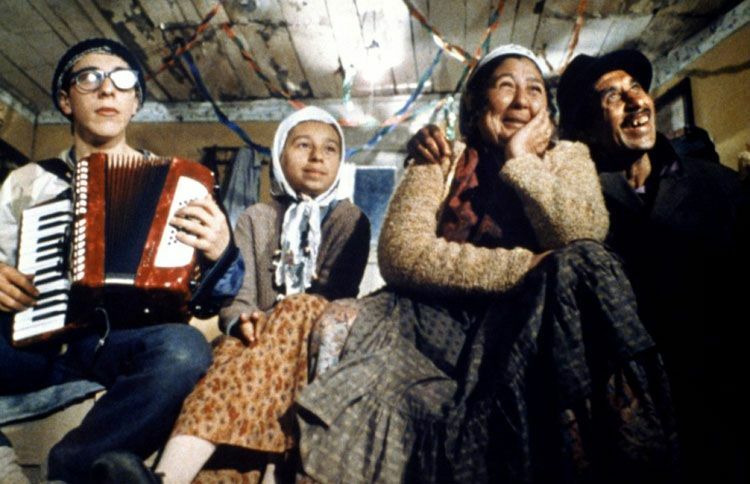 Kusturica doesn’t make the whole film merely about one boy and his growth within the community, but Time of the Gypsies succeeds on the count that it happens to be a film that immerses itself within the community to that point it becomes a mosaic about the community in itself. This truly is the “time of the gypsies” that Emir Kusturica is showing us, with every light and rough patch in their lives, fantasies and reality: it’s almost as if he is replicating a dream right in front of our own eyes. The whole ride is one that indeed tests a viewer’s patience, but the imagery still creates a great summation of what the lifestyle is like, whether it be within the cinematography or the production design. But as Kusturica’s direction just keeps the film sprawling within this beauty, there’s more that stuns just from the mythology being shown and what everything adds up to. Perhaps there’s yet another greater understanding of the culture coming around from the fact that the actors were indeed actual gypsies, but in a sense it was almost like watching someone observe their lifestyle for a documentary feature because of this technique. Emir Kusturica seems to meditate around the way these people are living, just as he manages to create a great sense of sympathy for every last one. Because every minute of this film’s mammoth running time matters to the story being told, and patience only finds itself rewarded. Time of the Gypsies is everything: it’s beautiful, funny, tragic, heartwarming, frightening, fantastical: all of this sounded far too much like a dream even to be real. But maybe that’s the best way of describing what it is that Time of the Gypsies is, it’s a film that could only have been the result of a dream, which only further explains the surrealist qualities of the story being told. But then comes only an unpredictable ride of its own sort for the matter, because there’s one moment you’ll find yourself laughing, and the other you’re crying, and another you’re almost terrified because that’s the sort of life that Emir Kusturica shows us in here. Therein lies the beauty of Time of the Gypsies, it takes oneself back to a different time period and a different lifestyle, because the film indeed created one for its own self and every last second of it is absorbing. A test for patience it may be, but rewarding at every second. 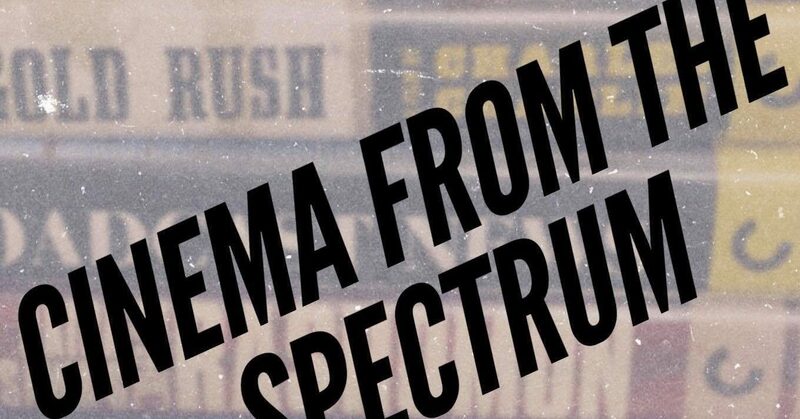 All images via Columbia Pictures.